Since I’m a maker, I thought I should make a hat. Even better, maybe I should make a fascinator. Have you ever googled fascinators? There’s a plethora of pictures out there. Thank you Pinterest! But these photos caught my eye. And not for the fascinator. The dress. I loved, this silhouette. It’s from the Victoria Beckham 2011 collection but there was something that was vaguely familiar about it. I started looking through my patterns and I found something very, very, close. McCalls 6553. The first thing I had to do was research my fabric stash because I committed to shopping in my stash 1st because of a self imposed limited fabric budget for 2015. I’m starting to regret that commitment. Fabric shopping is fun. Hoarding fabric is even more fun. Does one need a therapist for fabric hoarding? But, (My tone is a begrudging here.) I made the commitment so I’m sticking to it … for the time being. LOL! In this case, it’s a good thing I checked the stash because I had a beautiful blue suiting that had lot of stretch. It looked as if it would drape beautifully. And I really needed something that would move and flow well. Score 2.0! Everything was lining up beautifully. Here’s the dress. I’m so happy I’m in this current place in my sewing journey. Though I have some discouraging moments, I’m really loving the things that I make. I love this dress. I love the silhouette. And I love how it looks on me. This style covers a multitude of sins … mainly wine and cheese … my new vice … sparkling rose! This pattern is very easy to put together. And based on my measurements I did size down one size from the suggested pattern sizing, which was a bit of a risk, but I wanted a great fit at the neckline, shoulders, and under the arms. I did elect to eliminate the waist tie. I was attempting to copy the Victoria Beckham dress and I really didn’t want it. Now that I’ve made it, I will probably make another version with the tie. I think a version that with more structure on the front will only make the back more dramatic. But I don’t type that to take anything away from this version. If I heard anything when wearing this dress, it was when my back was turned. I literally have walked away from people and they’ve said “The back of your dress!” Initially I thought I sat on a cupcake or something, but no … it was a fellow sewer admiring the back of the dress. As I continue this sewing journey, I’m coming to realize I love the details. The tiny details. Those are the things that matter. 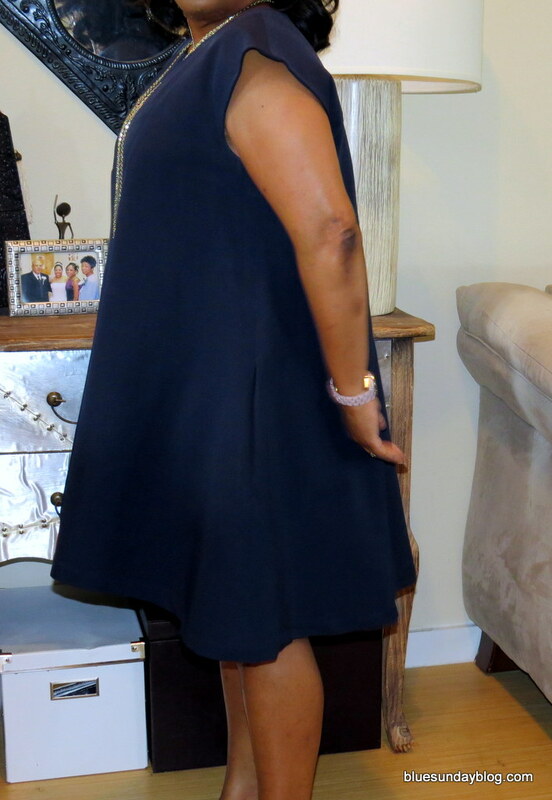 On this dress it’s the high/low hem and the two back pleats. They give the dress such a beautiful drape. And they are a bit unexpected. 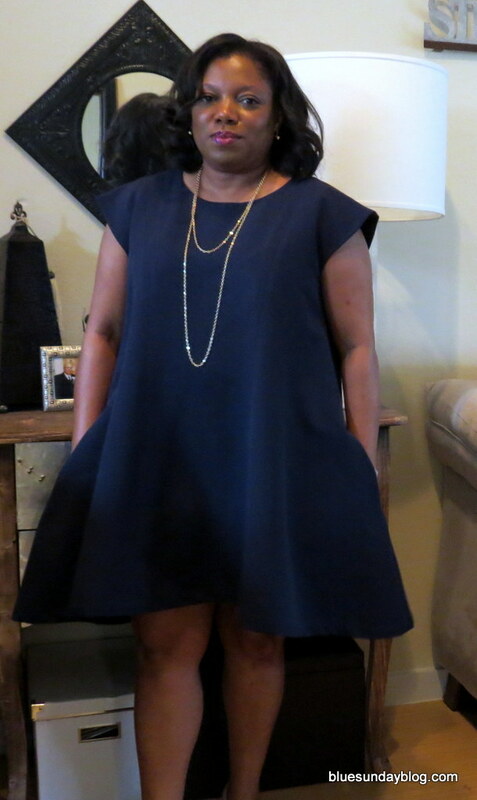 This dress came together a little differently than some of the other items I’ve put together. There is a single piece for the front and it attaches to the back yoke. The drape and lower length on the back comes from single piece that attaches to the lower back yoke. Although I didn’t apply any new sewing techniques in making this pattern, it was fun to and sewed up pretty quickly. I’m happy I remembered this pattern. Honestly I don’t know how I remembered it. I purchased this over 4 years ago, right when I took my first sewing class. I have a lot of patterns. A whole lot! You know it’s easy to collect them when they go on sale for $1.99 or 3 for $5. Sometimes I wonder what I was smoking (or drinking … usually it’s drinking. Who am I kidding it’s always drinking.) when I picked a particular pattern. Hopefully I’ll eventually come back around to them just like I did with this one. What’s your decision-making process when you decide to purchase a pattern? Is it personal style. 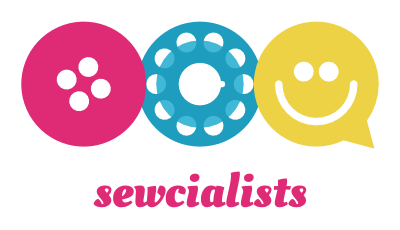 Are you inspired by other sewists? Is there a fashion designer you’re totally in love with and your inspired by their creations? And much like How I met Your Mother, there’s more to this story. Remember … it all started with the search for a fascinator. 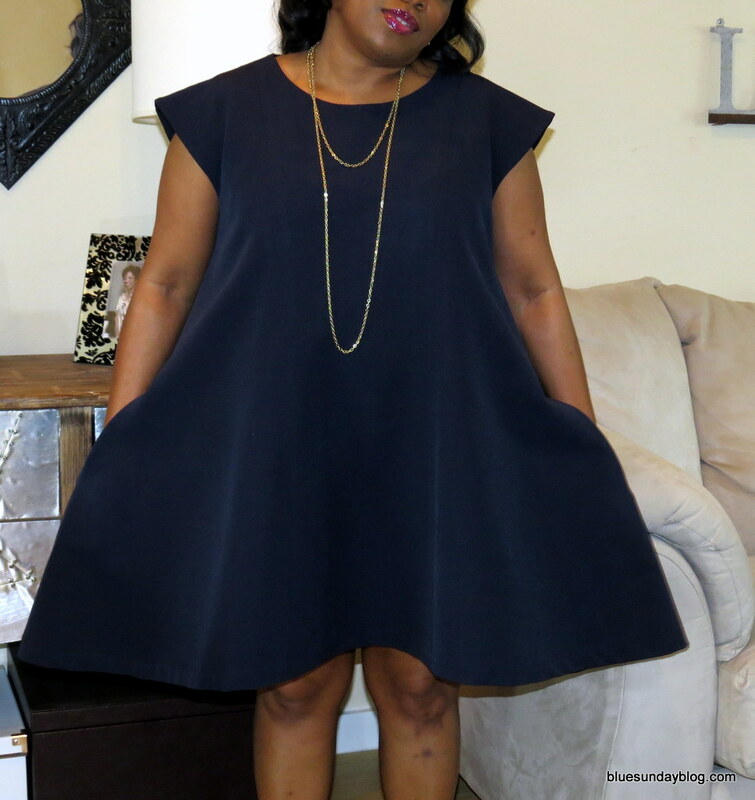 Love it….. both the story and the dress! It looks simply elegant on you. Hmm…When I decide to purchase a pattern, it usually has a detail that is different or unique, though I am a pattern and fabric hoarder for many, many years. Cinnaspice! I agree and wholeheartedly approve of any hoarding you would like to do with patterns and fabric!! Why not? We only live once right? I too love the details, they can make or break a design. Thanks for stopping by!! Great dress. I have that pattern too. Haven’t pulled it out yet–maybe I will now. It would make a nice summer frock. Didn’t know about the back yoke and the two backs pleats. Very Interesting. Oh you must pull it out and make it. You would love it! Even a more flowing fabric would be even more of a stand out, I think!! I remember your dress from the tea as it was stunning! Debbie, thanks so much! I am so humbled that you think so!! I absolutely love the shape. I hope you get a lot of wear out of it. It’s a stunner. Thanks Melizza!! I appreciate it!! I plan to wear it A LOT!! …So love this dress!! Gorgeous!! Thanks so much! I appreciate it Lawanda!! I got to see this dress in person at High Tea. As a fellow sewist, you should always assume a garment worn by another sewist was made. Still, I was so impressed by the tailoring and the body of the fabric that I asked, “Did you make that? 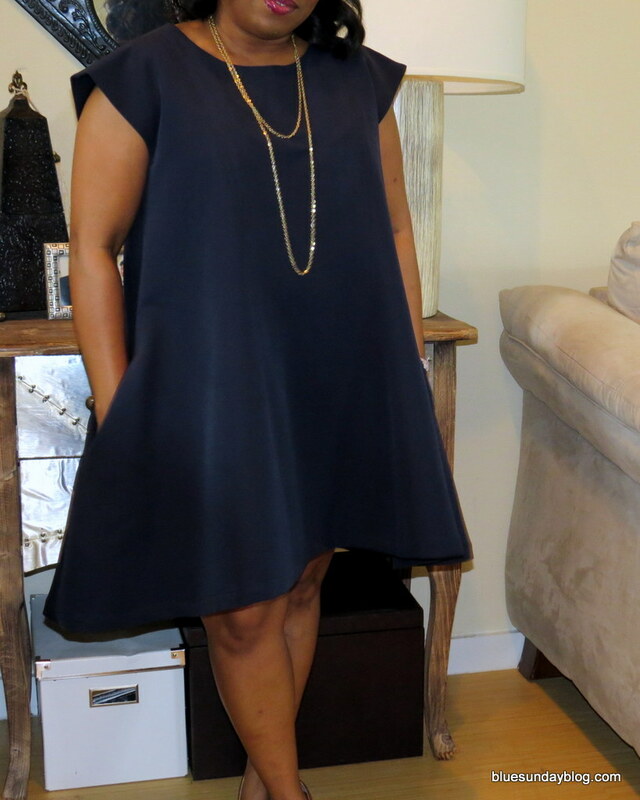 !” Nisha’s dress is even more lovely and regal in person. Now that I see Nisha’s inspiration, Mrs. Beckham, I must say she nailed it. In my opinion. 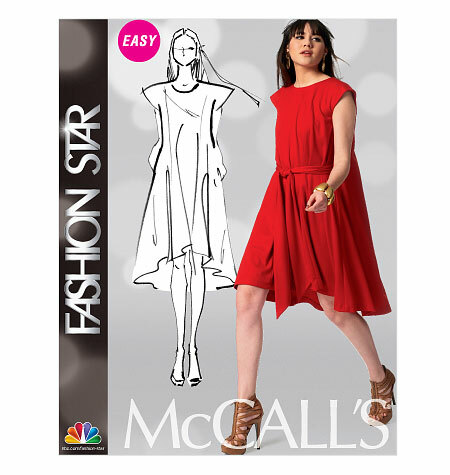 Nisha’s and Mrs. B’s dress looks better than the dress on the McCall’s envelope. Mollie you humble me because it’s not like you didn’t walk into that tea looking like a Proper English Lady!! LOL!! You rocked your dress out Madam!! I do not have your skills and I appreciate you thinking so much of that garment. I really enjoyed making it!! I’m getting there!! Thanks Alethia, I really appreciate it!! I love this dress! It is so elegant. The marriage of fabric and pattern are perfect. This style is so flattering on you! Thanks Bianca! I appreciate it!! Awesome story & the dress is beautiful. Love it!